Find your next serene sanctuary within this peaceful three story condo located inside the reputable Rose Island Riverside Condominiums. Condo is not in a flood plain. This unit has been beautifully updated with a sophisticated touch, organic design and refined neutral palate. Living made easy, this luxury home encourages comfort and free flowing energy with just the right mixture of open floor plan, realistic functionality and convenience. 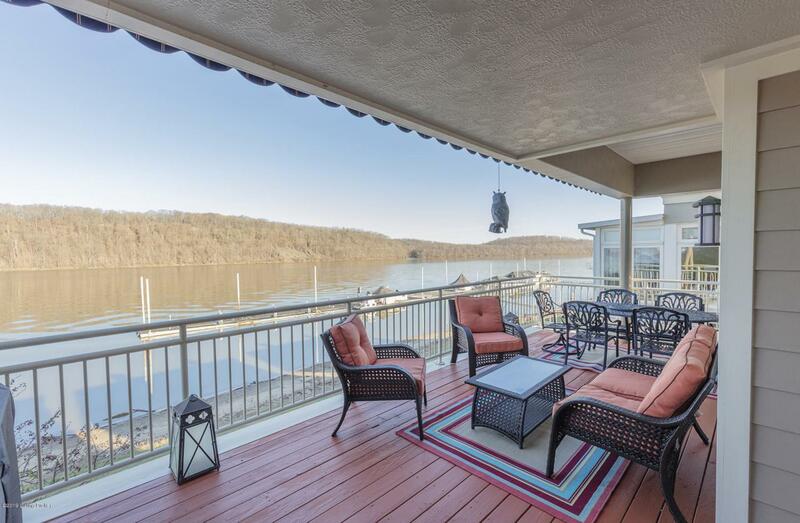 With breathtaking views overlooking the Ohio River and rolling Indiana Hills behind, you are sure to appreciate the great outdoors from the warmth and tranquility inside your own home. Step outside onto one of the three balconies or patios facing the river to enjoy the breeze or let the sunlight in, as you please.This condo hosts a spacious 2 car garage beneath, providing direct access to the home without any outdoor exposure. On the ground level you will also find a home office tucked away, allowing you to operate daily without the reminder of work lingering overhead. This room also hosts great potential for a third bedroom, with private full bath and more than adequate closet space. 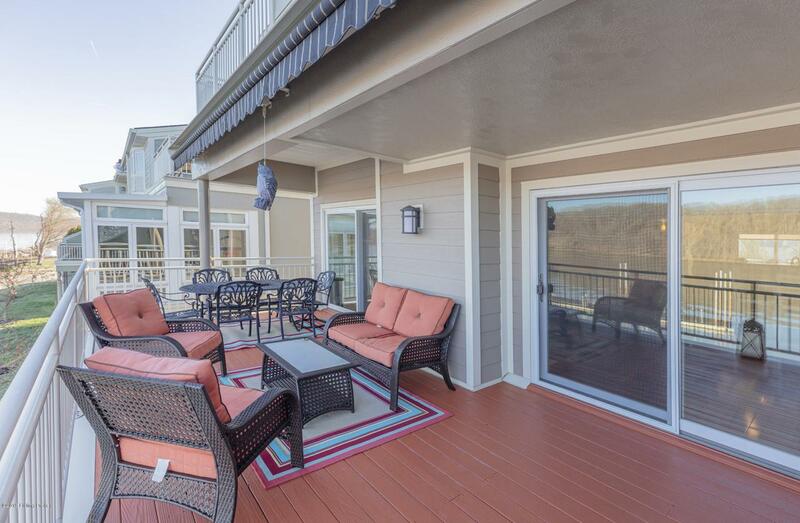 From this ground level room, slide open glass doors to a large covered patio area with direct access to the Ohio River. A great spot to enjoy your morning coffee and walks along the shoreline. Choose to enter the foyer from garage, or through the beautiful full light front door with glistening caming glass design. 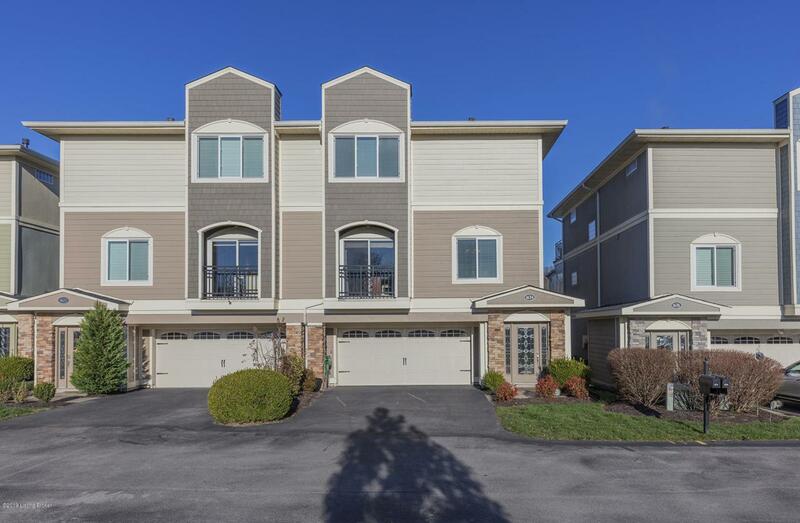 From here, follow the soft gray trellis carpet covered stairs to the second level, where you will be instantly greeting with immaculate and sturdy hardwood floors. Find this level beaming with beautiful bright light and a unique openness. The stone covered fireplace is surrounded by double sets of sliding glass doors that open out to a large patio perfect for entertaining, or privately enjoying the grand 180 degree views of the water. The open living area encourages guest by offering a custom bar area, complete with a built-in stainless steel, temperature controlled wine cooler. Enjoy breakfast at the kitchen table located just behind the stacked stone breakfast bar, or around the center island, granite throughout. Take pleasure in cooking with the kitchen balcony doors open in the spring sun. Entertain large dinners by expanding the party to private dining room by opening glass french door offset of kitchen. Travel the open riser, wooden "California style" stairs up to the third level where you will find two additional bedrooms and access to laundry. The master bedroom offers a large walk-in closet, private balcony and modern updated bath. The attached bathroom features a spacious walk-in shower with custom marble and tile design, double quartz sinks and plenty of cabinetry storage space. To the right, the guest bedroom also offers a spacious full bath with similar sink design and plenty of cabinetry storage space, as well. 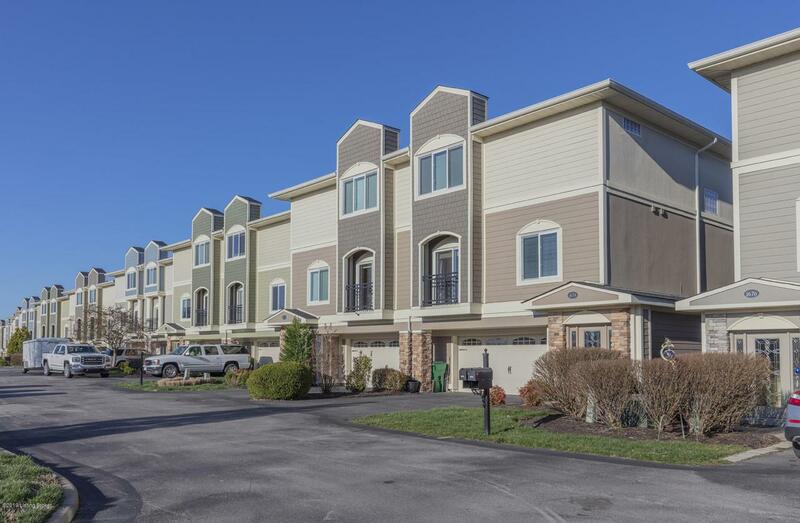 Come see this beautiful condo fit for simple, modern living today!